iGiveTrees was among the winners of the French Ministry of Environment’s “100 Projects for the Climate” initiative. We participated in a global consortium of citizen initiatives that mitigate the effects of climate change at COP22 in Marrakesh, beginning the next phase of development: to scale our impact. And, you can still join us in giving hope to a rainforest that’s 93% gone. That statistic isn’t working for anyone, so we’re growing this global citizen initiative to restore native tree cover by encouraging organic regenerative agroforestry methods in the countryside, and organic afforestation methods in urban areas. My name is Alana Lea, creator of the iGiveTrees crowdfunding campaigns and projects. Through trial and error, over the last eight years, we‘ve discovered a way to restore real hope. 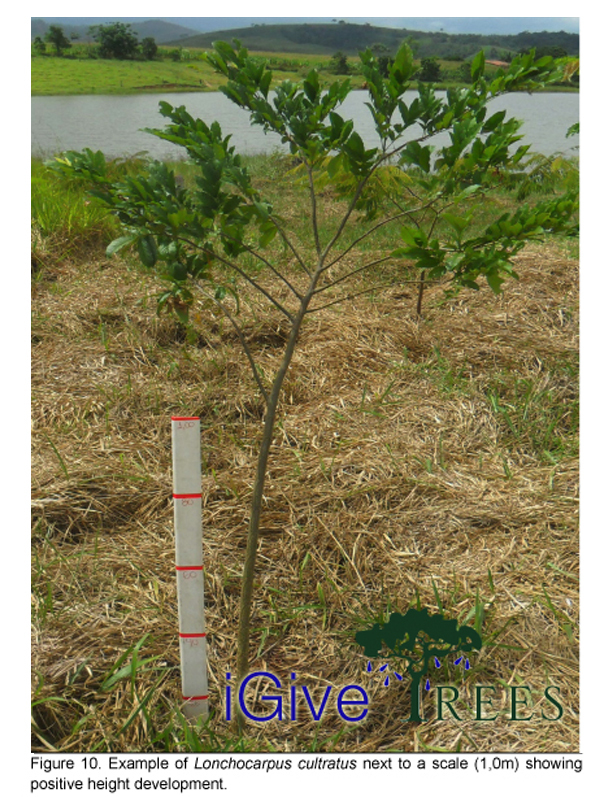 With your funding partership, I’ve been able to give trees to small Brazilian communities through local NGOs. In turn, they are replanting an endangered rainforest, to restore biodiversity, produce more oxygen, rebalance water systems, and sink more carbon for the benefit of the whole planet. These days, I’m confident that we’ve made a positive impact by directly supporting small local, organic, rural organizations, instead of the Big International NGOs (BINGOs) that accept funding from agrochemical companies, then teach people to use toxic chemicals to keep their donors happy. These BINGOs also fund environmental education, while requiring the use of herbicides when their projects replant the forest. Nature’s balance is once again being destroyed, by those methods. 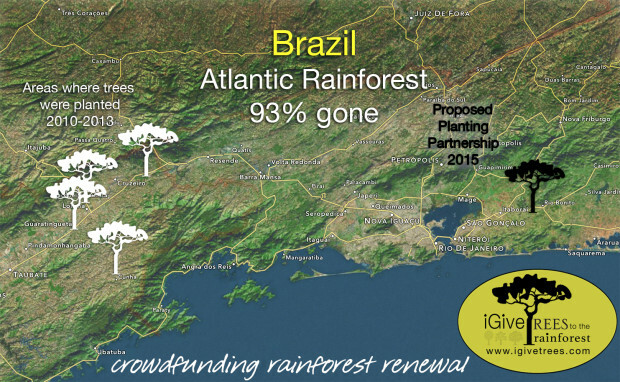 Since 2009 the iGiveTrees campaign has crowdfunded 6,000 trees that were given to the people of the Atlantic Rainforest just by sharing our story on a few blogs and videos. That was R&D – research and development – to discover what works. And even more important, what doesn’t work. Informed by experience, we’re now motivated to do hundreds of times more with new field partners who have proven commitment to the process, while needing help to achieve their planting goals. 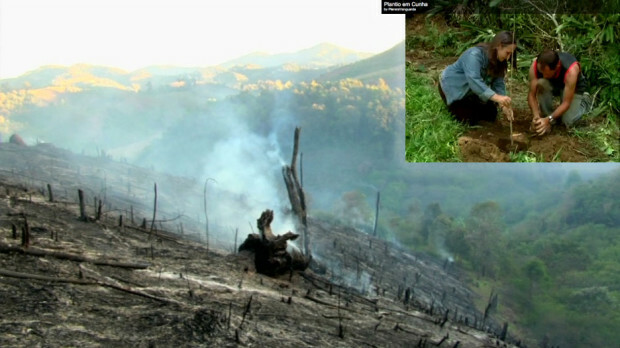 The trees we’ve given back to the Atlantic Forest since 2010 have been planted in the Vale do Paraiba, São Paulo state. Have a look at this historic photo to see the area, as it appeared in the 1882. 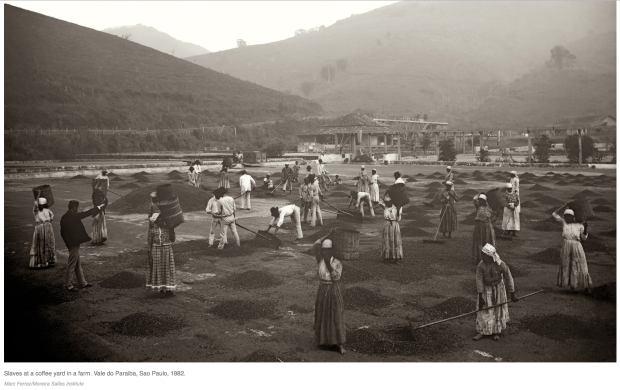 We see slaves working in a coffee plantation. Descendants of some of these people are now subsistence farm families, receiving trees to heal the spirit of both people and the land, while renewing their water sources. When I learned that 93% of the Brazilian rainforest where I was born had disappeared in my lifetime, I was shocked into action. So I found people who knew more about the land than I did, and together we started a reforestation project. 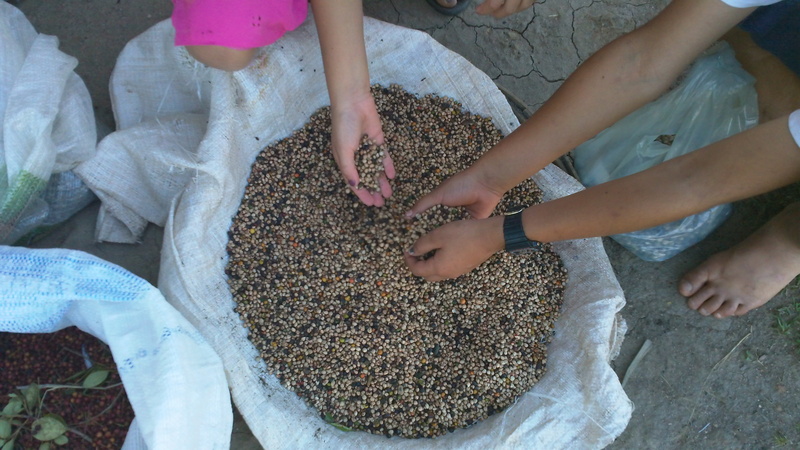 Over several years, I teamed up with a network of sustainable seed harvesters, small NGOs and subsistence farm families who now live on barren land that was once a lush rainforest. They want to replant their land, without adding toxic chemicals to their groundwater, as they’re being taught to do by certain entities. In some of the areas we’ve helped plant in the past years, residents are challenged by the eucalyptus plantations (for paper pulp) that work with agrochemical companies, and their green gloved NGO partners who approve of planting genetically engineered trees, sprayed with toxic herbicides. Once abundant water sources were sucked dry by thirsty, fast-growing, eucalyptus trees, contributing to epic droughts, while pollinators die, and remaining water supplies are contaminated by glyphosate, now recognized as a carcinogen by the World Health Organization. In contrast, when we give rural families a gift of organically grown, native species trees, they renew the life of the rainforest to benefit us all. Together, we are renewing the planet’s precious natural resources for our kids. Since our beginning, the project has attracted a global community of supporters: Michael Bernard Beckwith (featured in “The Secret” and founder of Agape International Spiritual Center), Rickie Byars Beckwith (founder of the Agape International Choir), Caroline MacDougall (Teeccino founder), DC Cordova (CEO of Money and You), Deborah Koff-Chapin (founder of the Touch Drawing Center), Katherine Woodward Thomas (author of “Calling in The One” and “Conscious Uncoupling”), Marie Diamond (featured in “The Secret”), Martin Dunkerton (author of “Awakening Your Riches”), Ryan Eliason (creator of the Social Entrepreneur Empowerment series), George Kao (creator of the Enlightened Business Bootcamp), Steve Bhaerman (a.k.a. Swami Beyondananda, co-author of “Spontaneous Evolution: Our Positive Future”), Vicki Robin (author of “Your Money or Your Life”), Natalie Ledwell (co-creator of Mind Movies), Sylvie Rokab (director of “Love Thy Nature”), John Roulac (founder of Nutiva), Daniel Nahmod (Humanity Music Co.) and Nimo (Empty Hands Music) are among them. Our reforestation project supports global cooling, the return of wildlife and Nature’s biodiversity. And our hundreds of species of tropical trees have a better chance of growing to maturity, faster, able to sink more carbon than trees planted in the backyards of the Northern Hemisphere OR Genetically Modified trees. Your tax-deductible “crowdfunding” donations make the purchase and distribution of these trees possible, at no cost to the recipients, through social enterprise and non-profit partnerships. We work directly with small, local NGO partners in the community who are focused on teaching organic agroforestry in targeted areas of need. Rainforest trees replanted in Brazil benefit the entire planet. Welcome to the iGiveTrees global community!